Last week the High Court of Australia ruled that the controversial Marriage Equality Postal Survey was legal. I was gutted. On the bus home that afternoon was thinking to myself, “What can I do?” Obviously I can, and will, contribute to traditional canvassing methods, but that’s not my expertise. What from my wheelhouse could I offer to the biggest political campaign of my life? That night I was Twitter messaging with Jack Skinner about how terrible the High Court ruling was, and wanting to help. I floated the idea of using code. I am after all a programmer, and we came up with the idea for a pride corner. From that idea grew Pride Codes. 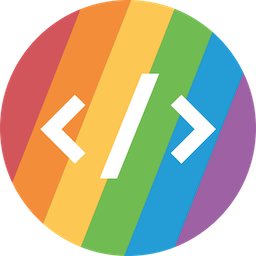 It’s a set of widgets any website can add with only one line of simple code that allow them to show support for LGBTQ members of the tech community and beyond. The most popular widget is the Vote Yes corner in support of the ongoing Marriage Equality Postal Survey. There are also other widgets, and it’s growing with time. Check it out! I’m really excited for it.